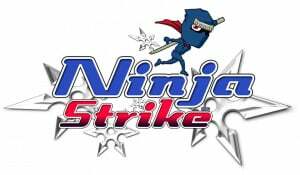 Ninja Strike: Dangerous Dash is a perfect example of what sounds like a great idea being held back by poor execution. 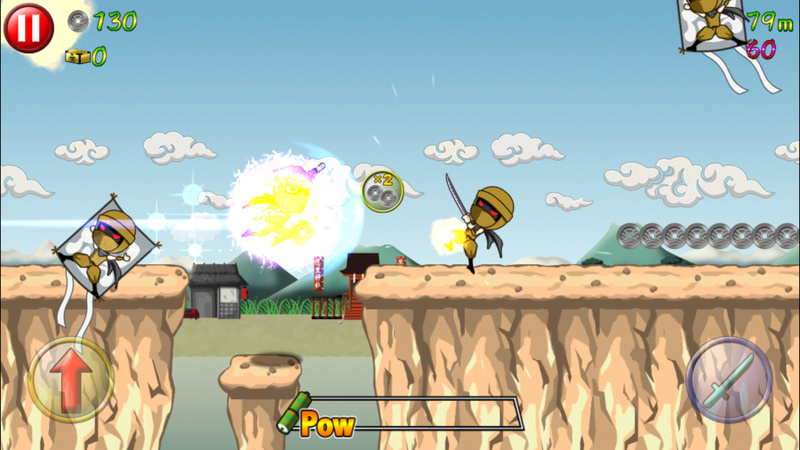 Published by Natsume, Ninja Strike: Dangerous Dash is a formulaic endless runner; in it you initially take control of Blue Shadow, a blue-clad Ninja with a red scarf. The art style is simple but lovely. The backdrop evokes a sense of a simple painting, and the characters look like a Saturday morning cartoon. Sadly, they don't animate as well: each character's movements seem odd, as though they're paper dolls with limbs moving independently of their bodies; this is especially noticeable with Sakura, the game's sole female character. 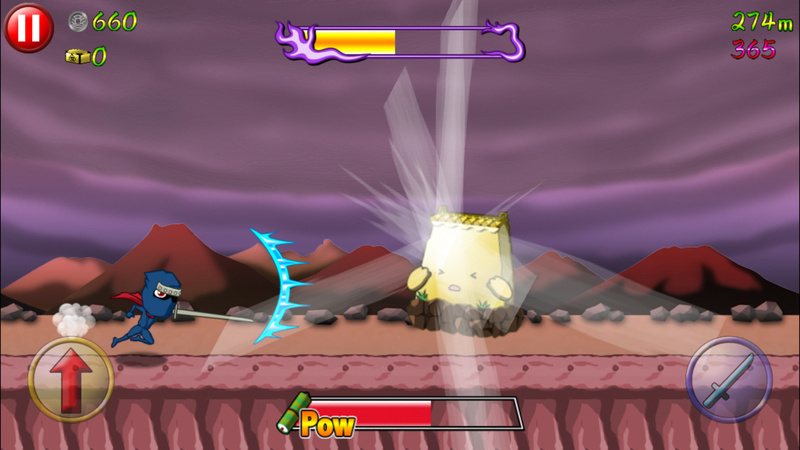 The point of the game, like many other endless runners, is to evade or destroy obstacles or enemies while collecting coins and power-ups. At the start of your run you have the option to buy a power-up, but there's no way to back out of this so you must wait out the timer. Coins serve to help level up your character, giving it the ability to attack, as well as increasing the duration of your power-ups you pick up along the way. The ability to attack is important, as it unlocks the option to cast the meter-based Spacetime Magic, which is only charged up with sword attacks. When Spacetime Magic is active your character will enter a bonus stage of sorts during which you'll attack enemies called living walls; most of the game's rarest treasure is dropped by the living walls, which you'll need to unlock the game's final character, Hanzo. Ninja Strike: Dangerous Dash features four unlockable characters. Most of the characters unlock by finding treasure while playing, with the exception of Frogsuke - the frog-riding intern ninja - and the only one with a triple jump. Unfortunately three of the five characters are clones of one another, with nothing beyond aesthetics defining them as being unique. Hanzo's only unique ability is having a more powerful sword than the rest of the crew. Beyond this, there's not much more to Ninja Strike: Dangerous Dash. The soundtrack is a single song that loops as the player traverses across a single background that slowly shifts from day, to dusk, to night, and back to day again. At times it can feel fun to hop on the heads of enemies and keep your chain going by double jumping and gliding your way between them - this feeling doesn't last long. Patterns of coins and platforms are pre-set and tend to repeat frequently. Most importantly, Ninja Strike: Dangerous Dash also has technical problems. 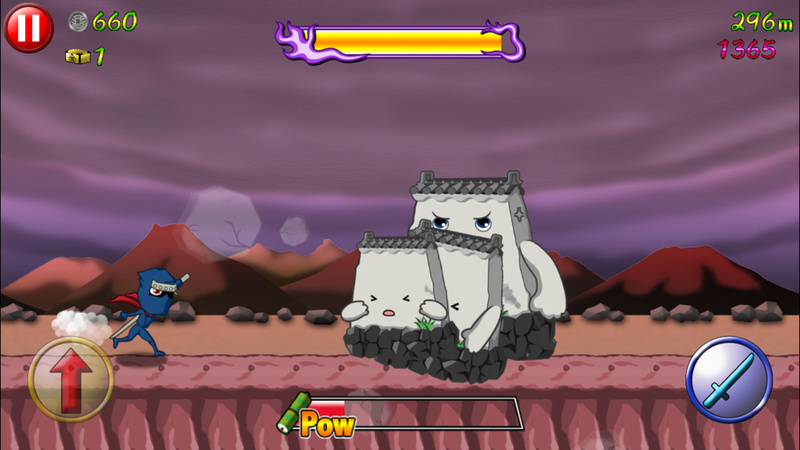 Any time too much appears on screen, due to a large number of enemies spawning or the camera zooming out, the frame rate drops dramatically. It's already on the slower side of the endless runner genre, but the frame rate drops leave it feeling needlessly sluggish. On paper a ninja-themed endless runner that allows you to cut through your enemies and use ninjutsu sounds like lots of fun. Sadly the strange animation, a lack of backgrounds, options and variation in characters mars these ideas. In the face of this as well as some technical issues, Ninja Strike: Dangerous Dash is a title we can't recommend. And to think, this is what Natsume considers "quality". I bet they regret letting XSeed get a hold of the ACTUAL Harvest Moon series because man, it was the only thing bringing home the bacon for them. They'll tank soon enough. The streak of horrible games on the US Wii U eShop continues, lol.